Once heavily polluted, the Georges River—one of Sydney’s great waterways—remains a fragile resource. These days its water quality is monitored not only by environmental scientists, but by Iraqi Mandaeans. For Mandaeans, followers of an ancient Middle Eastern religion, regular immersion in fresh flowing water is an important religious ritual. In Sydney, their favourite spot is the Nepean River. However, they closely observe other waterways, making them sometimes better informed than their longer-established neighbours. Heather Goodall, a cultural and environmental historian at the University of Technology Sydney, has been researching how migrants perceive and use the Georges River and its patchwork of suburban parklands: the Georges River National Park. In common with many new arrivals, Mandaeans have settled in Sydney’s densely populated and ethnically diverse southwest, through which the river winds. Like other Arabic-speaking Australians, and like the Vietnamese, the southwest’s other major ethnic group, they are frequent visitors to the national park. These new Australians value water highly. Muslims consider it a scarce and precious resource. For Vietnamese, all rivers have spiritual significance. The Georges River “evokes memories of the ‘water world’ of their homeland, with its ubiquitous paddy fields, high rainfall and numerous rivers”, as Professor Goodall writes. These different park users all bring to Australia a fund of knowledge and expertise, as well as experience of a different natural environment. That makes them highly motivated to care for their surroundings. Growing numbers of Arabic speakers participate in Clean Up programs along the riverbank. But all the migrant groups share a deep interest in water quality and conservation, and keep a sharp eye on the river’s health. The migrant experience reinforces this behaviour. One of Goodall’s studies has examined ‘place-making’—the way new Australians create a feeling of home by exploring their surroundings and forging attachments to certain locations. As Goodall watched Vietnamese people fishing, young Arabic men playing football and extended families from both communities picnicking, she realised they were place-making—and, in the process, developing a sense of ownership and responsibility. Migrants, she believes, are an untapped resource, and she hopes that the reports and books generated by her five-year research programme can prove an impetus for change. 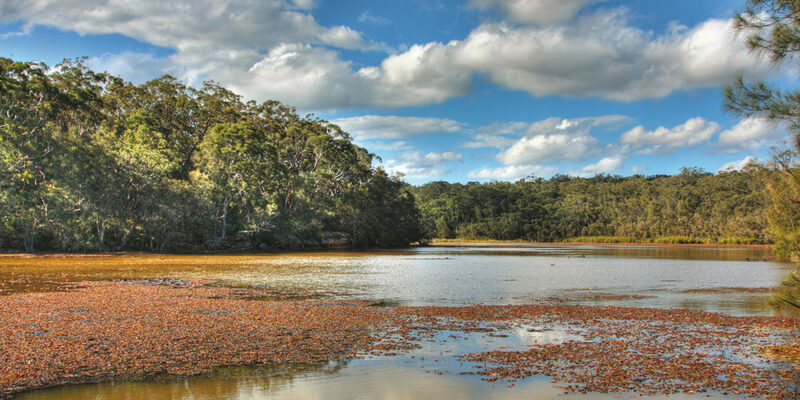 The program, entitled Parklands, Culture and Communities: Ethnic Diversity on the Georges River, involved a partnership with the Office of Environment and Heritage (OEH), which oversees New South Wales’ national parks. As well as updating its management models to reflect the multicultural backgrounds of today’s park users, the OEH hopes to draw on their knowledge to manage green spaces more effectively.